Imagine having to roam the streets, searching for any bit of food and shelter you can find. 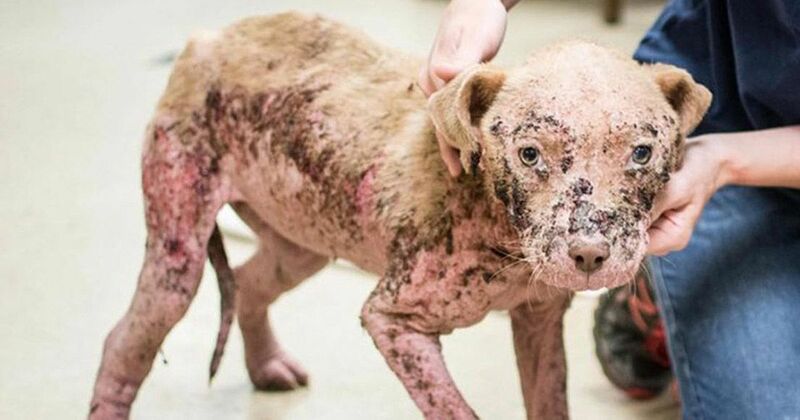 Now imagine on top of that you have such a bad skin infection, that you are left with absolutely no fur with skin that is so inflamed, bloody, and raw. That was life for one-year-old pit bull mix Kooky. 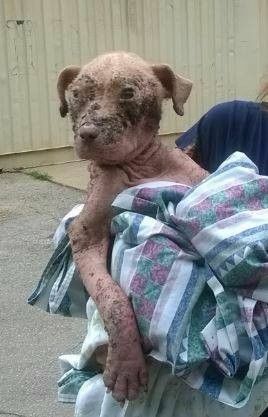 Kooky was brought to a Georgia shelter where she, thanks to a severe case of Demodex mange, had no fur left on her tiny body. To make matters worse, Kooky was also suffering from secondary skin infections that left her skin bloody, raw, and inflamed. Because her condition was so bad, no one was sure Kooky was going to make it. Luckily, someone noticed her. 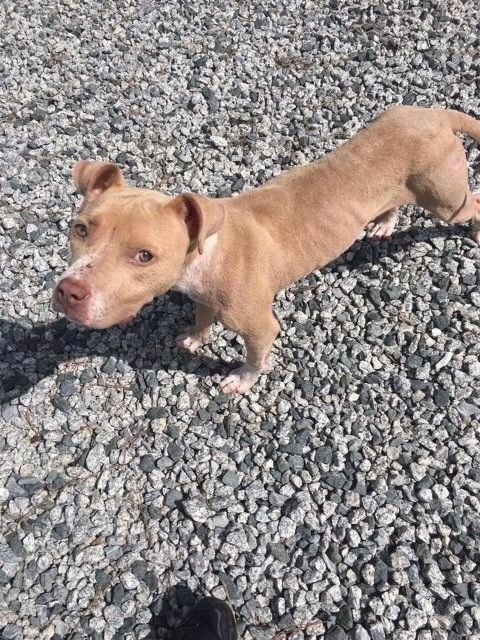 Kooky was then taken out of the Georgia shelter by Second Chance Rescue NYC and transferred to a local partner veterinarian to treat her wounds. Unfortunately, the story doesn’t end there. While in treatment, Kooky suddenly became severely sick and needed a blood transfusion. As it turns out, Kooky may have ingested rat poison, according to Kelecy Kimmerer of Second Chance Rescue NYC (The Dodo). No one was sure exactly how Kooky ate the rat poison, but they suspect it was from her days searching and scouring for food. Thankfully, though, they were able to save Kooky in time and treat her for the poison. Although Kooky is still recovering from ingesting the rat poison, she now looks completely unrecognizable. Her skin is healing nicely and her fur has almost completely grown back. She looks totally different from the scared, sick dog she was when she first arrived at the shelter. Kooky has since been transferred to Second Chance Dog Rescue NYC and is now looking for her forever home. She is blossoming into a beautiful, young girl and is in need of the fairy-tale ending she so desperately deserves.